The Father says today, welcome to yoke easy and burden light. When the deception of the heavy burden tries to overcome you, remember My promise. When heaviness and darkness seem to define all that is happening around you, open your mouth and proclaim the yoke easy and burden light. This is My heritage in your life and this is the earnest of My inheritance that is shaping and molding you now and determining what happens next. What the enemy threatens is just smoke and mirrors. The bottom line is I am a faithful God and you are My beloved child. The price then has been paid, beloved. You need not calculate what the trial is going to extract or take away from you, for what man thinks he can steal from you I will give back in greater measure. I am multiplying My goodness in your life, says the Father. I am filling you up with My goodness with a pressed down, shaken together and running over measure. Just call to Me. Call out to Me and be saved. Saved in circumstance and saved in outcome just as I have saved you in spirit and soul and body. So be done because of YOUR SON JESUS CHRIST & HIS SHED BLOOD ON THE CROSS AT CALVARY! Abba Father,Thank You! I am Grateful! Amen! I receive in Jesus name. AMEN, Glory!!! Thank YOU ABBA. Halleluyah!!! 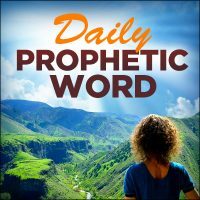 « Morning Light – October 17th, 2017 – Hosea 06: Are We Entering into God’s “Third Day”?